With the winters playing wicked games with us Delhiites, I was craving for some warm destination, where the sun had made its presence felt. I always wanted to visit the Forts in Rajasthan, the colourful and vibrant land of desert. I packed my bags and headed for the bright sunny skies. Going through some maps, I decided to start off with the lively city Udaipur. As I stepped in the city, I observed a number of delightful grand deluxe forts, most of which are now converted into heritage hotels. Dotted with exquisite marble forts and palaces, Udaipur showcases the rich history and architectural patterns of the Rajput Kings. Most of these forts and palaces were built in the medieval era by regal personages. I was completely overwhelmed to see the lavish interiors, royal decor and rugged exteriors of these spell binding structures. Reflecting the lifestyles of the passionate Rajputs in the best possible manner, the City Palace stands over the Pichola Lake. The palace was built by Maharana Uday Singh and later several palaces and structures were added to the complex by succeeding Maharanas. Various huge gates, the Mor Chawk (the peacock square), Armoury museum (exhibiting a huge collection of protective gears and weapons), Manak Mahal or the Ruby Palace (known for a lovely collection of glass and mirror work) and Krishna Vilas (displaying a rich collection of miniature paintings) are a few major attractions of the City Palace. The rooms of the Moti Mahal, Chini Mahal and the Zenana Mahal in the City Palace complex are superbly decorated with mirror tiles and paintings. 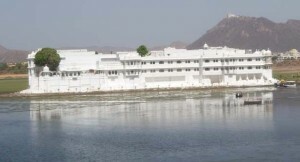 I then visited the renowned Lake Palace Hotel, located on an island on Lake Pichola. While having my lunch in the restaurant there, I also came to know that the Lake Palace Hotel was originally built by the Maharana Jagat Singh II in 1754. 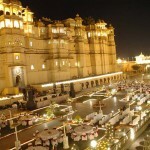 It is rated among the most romantic hotels in India. I paid short visits to the famous Fateh Prakash Palace and Jag Mandir, which are known for authentic royal luxury. 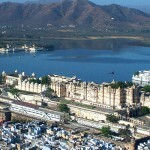 Almost all the major forts and palaces in Udaipur boast of the legends of their glorious past. These ancestral structures have witnessed several changes over the centuries and still they stand tall retaining the vibrant aspects of the age old cultures.